Rewards Canada: You can now redeem WestJet Rewards dollars for flights on Air France and KLM! Unlike your standard redemption on Econo, Flex or Plus fares, where WestJet dollars act like cash towards the base fare; WestJet dollar redemption for travel on Air France and KLM are a flat rate known as Member Exclusive fares, which require you to redeem the full amount (100%) in WestJet dollars. And, similar to Delta you will only be able to redeem WestJet dollars for economy class at this time. 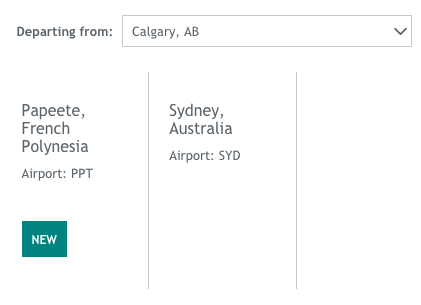 The above rates are valid from any Canadian city that WestJet serves which can make this very valuable in those cities where fares tend to be high like Whitehorse or Deer Lake! 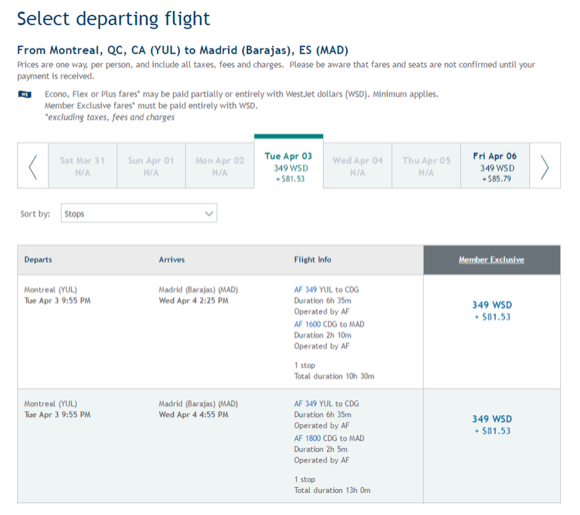 The rates are slightly higher than those we see on Delta (Europe is 299WSD vs the 349 here) but you have the trade off - Delta you have to connect via the U.S. whereas the flights on Air France or KLM are direct from their Canadian departure points. For example flying from Calgary to Amsterdam on Delta will put you through New York City or other connection points where as the KLM flight is direct. That's where you'll have to make the decision, save 50WSD and go through the U.S. (more flying time, connections, U.S. Customs etc.) or spend the extra 50WSD and fly direct with a lot less hassle. Really it is up to you and your travel style and habits. Overall this is great news for WestJet Rewards members. Now you have more options to use your WestJet dollars with. Earlier in the year it was limited Delta flights but that got expanded this fall to all Delta flights, now Air France and KLM and soon Qantas! WestJet Rewards continues to become that all around Frequent Flyer Program that members have been asking for. All that remains is redemption for Business or First Class (which we hope will come when WestJet adds their own Business Class), more non-airline partners likes hotels and car rental companies and we'll have a full fledged program on our hands!